Waiyee Chan has been a technology staff developer for three years and has spent five years as a technology specialist in an elementary school. 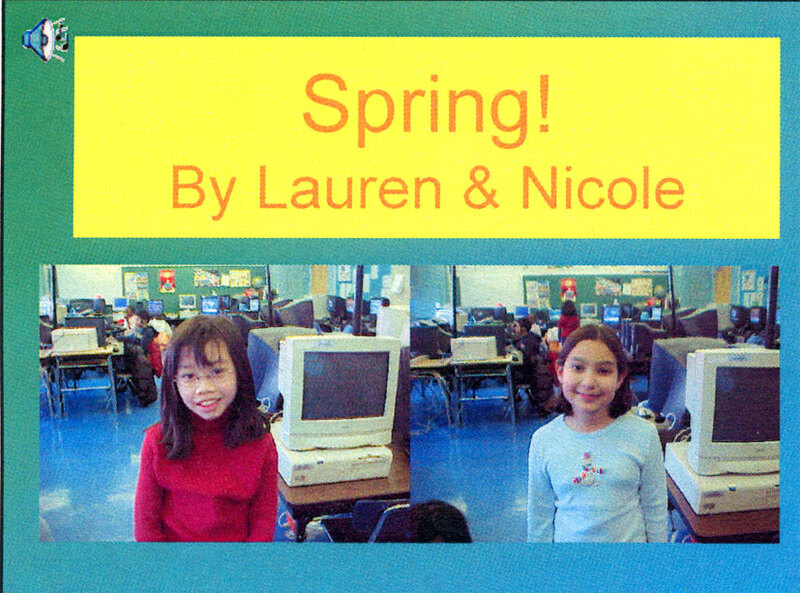 I had students choose a topic about spring that they were interested in to create an e-book in PowerPoint. They added animations and sound to make their project more exciting. 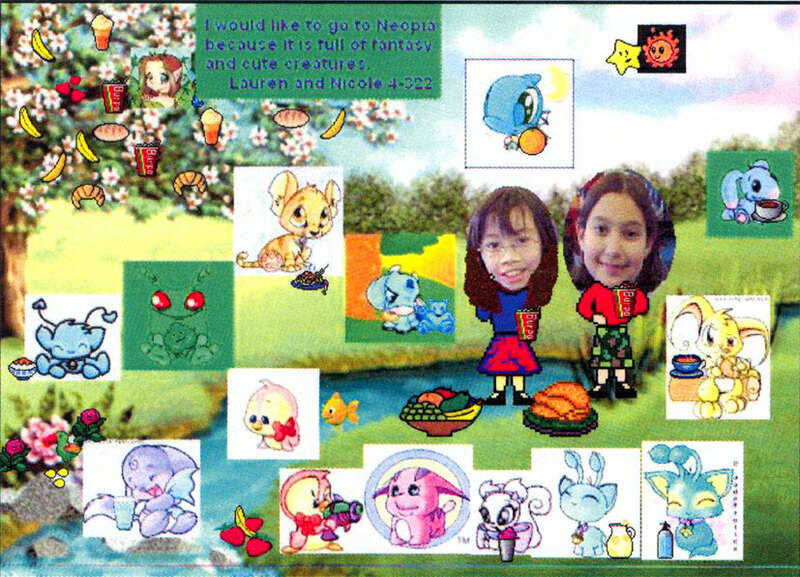 They took digital photos of themselves, cropped them in KidPix, and designed a background to add them to the slideshow. I created a website to link the kids pictures to their slideshow to be viewed in a literacy fair. Become familiar with PowerPoint to insert pictures created in KidPix, clipart, and photos from the internet. Type a story to go with their photographs and pictures. We discussed what an electronic book was and took a look at some on the Internet. The students were inspired to create their own. They researched for photos and information on the internet. 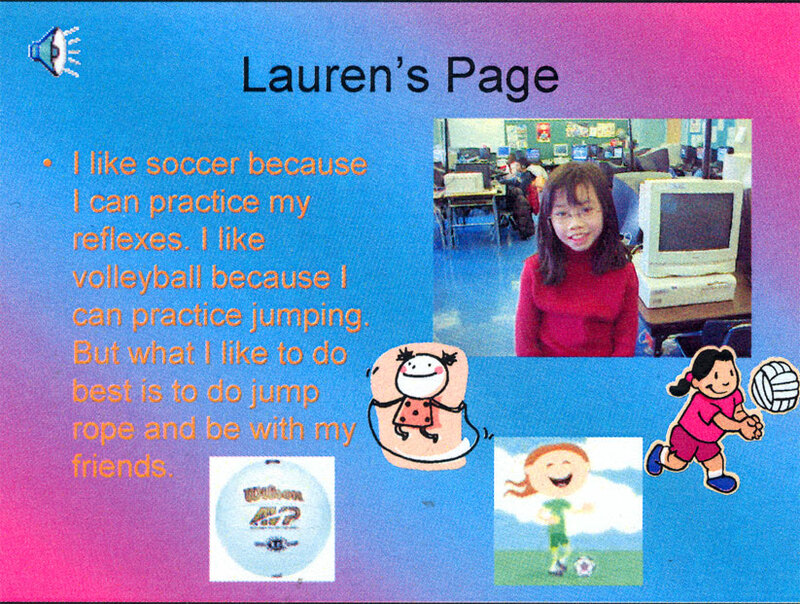 They used KidPix, PowerPoint, and the digital camera. The students created their own ebooks and presented them to the class. I evaluated them based on how well they were able to independently insert graphics, text, and animations. It was a good idea to put them in groups, it created more motivation and they felt good about doing a project with another person. More ideas were exchanged and if one person knew one technical skill, he helped the pother person in the group. For future books, I would like to see students add riddles and guess the idiom books. The little books also make nice gifts for mother and father's day presents. If you are creating a website, the PowerPoint slideshows can be easily saved as a website or be linked to a web page.